Dungs is a synonym for safe and clean gas combustion. In close cooperation with our clients we develop and manufacture innovative system solutions for the thermal and process heating industry and for co generation plants. Our gas safety and control technology strengthens our partners and is our particular pride. 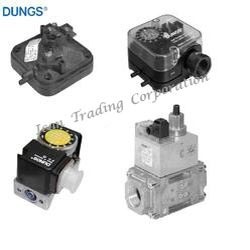 Dungs single stage gas solenoid valve SV and SVD Series. Dungs is an expert in the field of safety and combustion control technology and an important partner to the burner, heating, air conditioning and process heat industry offering top quality technological products. Gas filters up to 16 bar. 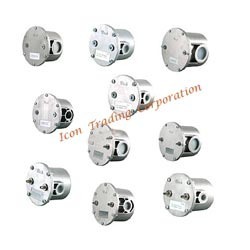 Pressure switches for air, gas and flue gas for positive pressure, negative pressure and differential pressure. Gas pressure regulators, slam shut off valves and safety blow off valves. Ratio regulators, zero governors and constant pressure regulators. Valve proving systems for combustible gases and hydrogen. Single solenoid valves, fast and slow opening with flow adjustment and solenoid valves for pulse firing. Multiblock valves with pressure regulation with and without ratio regulation. 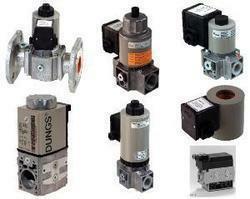 Double solenoid valves and low power consumption eco version valves. Motorised actuators and Linear flow control valves. Burner controllers and flame monitors. Pneumatic operated Single and double Butterfly valves for pressures up to 5.0 bar. Bourdon and Capsule type pressure gauges for gas. Special solenoid valves and pressure switches for Bio gas and Sewage gas with TÜV approval. Special products with ATEX approval. 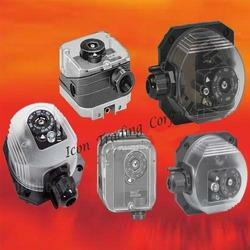 We have attained huge prominence by supplying and trading high quality Kromschroder Gas Pressure Switch. These switches are commonly used in gas burners for regulating gas flow rate in various industries, as these have reliable controller system with excellent performance aspects. We procure our wide range of switches in varied designs from worlds' renowned vendors, which makes them highly durable and accurate in dimensions. 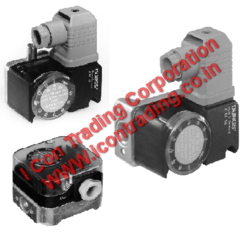 We hold immense expertise in supplying and trading wide variety of Dungs Make Air Pressure Switches. Vastly used as crucial component in large gas train, these switches helps in modulating pressures in burning processes. Due to their procurement being done from trusted vendors, these switches are manufactured as per latest industrial norms with effective utilization of fine quality raw materials and modern age technology. We have earned ourselves as prominent enterprise tag by supplying and trading superior quality Dungs Multiblock. Our offered multiblocks are used in various burning applications due to their effectiveness in modulating pressure as per heating requirements. Equipped with optional ratio regulation, these are designed and fabricated by highly renowned vendor. Moreover, available with us in varied designs, these are supplied to customers at nominal price tags. Dungs is a commoun name in Oil & Gas Combustion Industry. Dungs is a synonym for safe and clean gas combustion. Our gas safety and control technology strengthens our partners and is our particular pride. 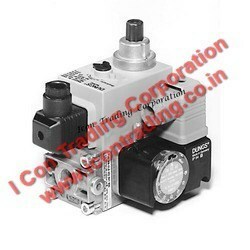 iCON TRADING, KOLKATA DEALER OF Dungs make gas solenoid valve, multiblock, double magnetic valve and controller. 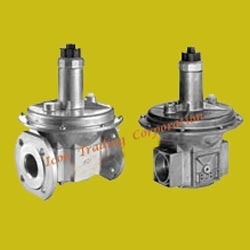 Dungs Gas Regulator FRS 5125 etc..
With full devotion in supplying and trading premium quality range of Dungs Gas Filters, we have earned huge appreciation from our clients. These filters are well known for their sturdiness and effective filtration efficiency, thus having intensified use in burning processes for filtration of gases. We procure these filters from renowned vendors, who manufactures them in compliance with latest industrial norms. 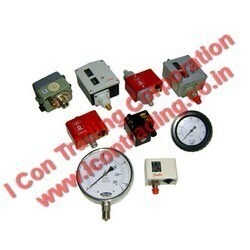 ICON TRADING, KOLKATA offering Dungs make Air & Gas pressure switch with all modals are available. Dungs gas multiblock (used in 2 stage burners) models: MB-DLE403/MB-DLE 405 B01 S20, MB-DLE 407 B01 S50, MB-DLE 410 B01 S20, MB-DLE 412 B01 S50, MB-ZRDLE 405 B01 S20, MB-ZRDLE 407 B01 S20, MB-DLE 410 B01 S50, MB-DLE 412 B01 S20 ETC. "We are leading Manufacturer,Supplier and Exporter of Industrial Equipments & Furnaces like For Steam/Thermopack Boiler, Solid fire/Oil Fire/Gas Fire. Oil Pump, Boiler Spare & Parts, Industrial Laundry Equipment, Chimney,Tumbler, Flat work Ironer, Oil & Gas Burner,Suntec Oil Burner Pump, Water Softener, Ion exchange Resin, Pipe Line Fabrication & Erection. across the Eastern India mainly Kolkata,West Bengal,Nepal, Bihar, Jharkhand, Orissa, Assam, Siliguri, Durgapur, Asansol, Ranchi, Dhanbad & Bhutan region." In order to fulfill the diverse requirements of our clients in an efficient manner, we are offering a superior quality range of Pressure Switch. The entire range is manufactured at our vendors' unit who employ high-grade raw material to develop the range in accordance with set industry standards and norms. 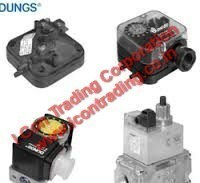 Looking for Dungs Pressure Switches ?